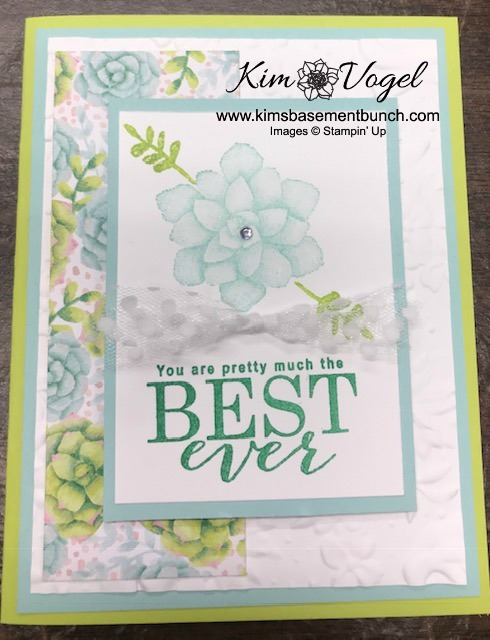 Kim's Basement Bunch Stampers Kim Vogel's Basement Bunch Stampers: NEW Sale-a-bration items begin February 15th! NEW Sale-a-bration items begin February 15th! Did you know that we have some AWESOME new Sale-a-bration items coming out with our second release scheduled. These GREAT new products go live February 15th! CLICK HERE TO SEE THE PDF OF THESE GREAT NEW PRODUCTS. Here is an card that I created with the NEW Painted Blooms bundle. I love how pretty this card is and how it looks so much like SPRING! To place your online order VISIT MY STORE TODAY.